A study led by Boston Children's Hospital and the National Institute of Mental Health (NIMH) may open up new opportunities for treating neuropathic pain, a difficult-to-treat type of chronic pain due to damage to the nervous system that can make the lightest touch intensely painful. In a report today in Nature, scientists led by Zhigang He, Ph.D., and Clifford Woolf, Ph.D., of the F.M. 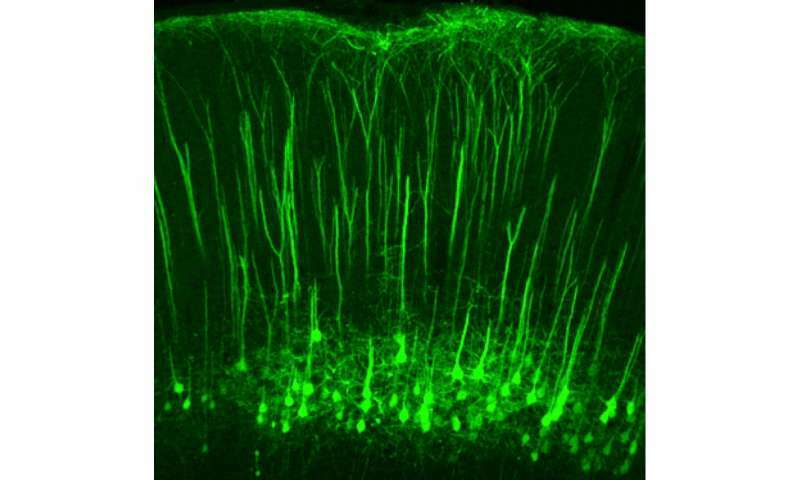 Kirby Neurobiology Center at Boston Children's, demonstrate that neurons that originate in the brain's cortex influence sensitivity to touch. "We know that mental activities of the higher brain—cognition, memory, fear, anxiety—can cause you to feel more or less pain," says Woolf. "Now we've confirmed a physiological pathway that may be responsible for the extent of the pain. We have identified a volume control in the brain for pain—now we need to learn how to switch it off." 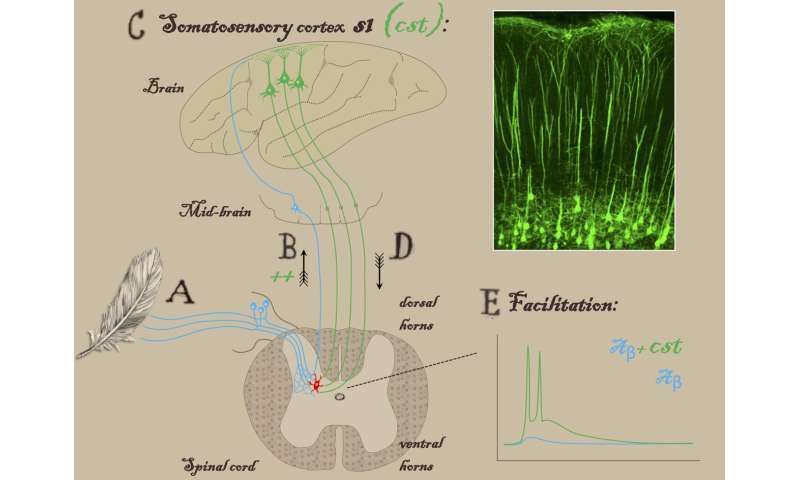 "In normal conditions, the touch and pain layers of the spinal cord are strongly separated by inhibitory neurons," elaborates Alban Latremoliere, Ph.D., one of four co-first authors on the paper. "After nerve injury, this inhibition is lost, leading to touch information activating pain neurons. When the spinal neurons that are supposed to be pain-only send this information to the brain, we feel pain." He, Woolf and colleagues think the cortical neurons they identified could be a potential target for treating the tactile component of neuropathic pain, via drugs or possibly brain electrical stimulation, breaking a feedback loop that introduces and exaggerates the pain response to normally non-painful touch. He notes that some clinicians have tried using brain stimulation as a way of treating neuropathic pain, not always successfully. "Our findings might help us target the stimulation to particular areas or groups of neurons," says He. "It might be interesting to look at clinical data and try to replicate the stimulation in animals, and see what kind of stimulation would silence these neurons."